I usually get up at 10 every morning but today, I got up at 9am. Had some oats, showered, put on my make up and spent forever deciding what to wear. I got up earlier today because Nana, Jane and I were having a breakfast date. 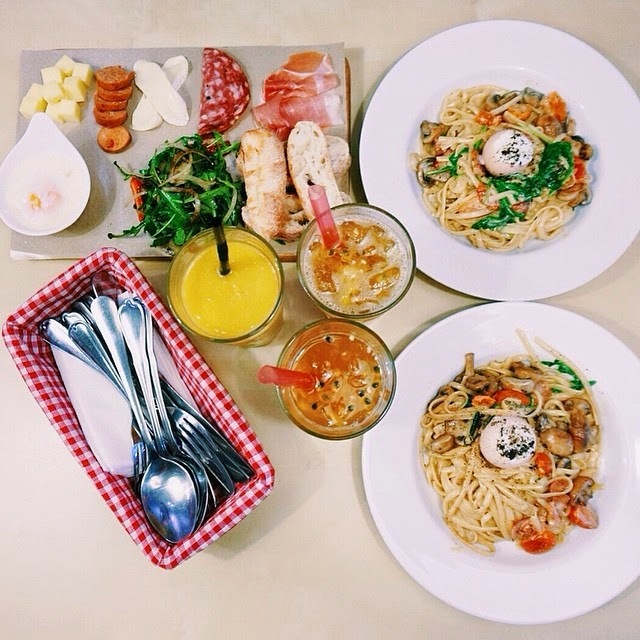 We went to Bread Fruits at Hartamas for a very satisfying breakfast. Then we headed to Three Little Birds for coffee and to do work. We also had our usual chit chat about cosmetics, skincare products and fashion. We actually got her to help us get some cosmetics and masks from Korea. I assume that they will be cheaper in Korea since they are made in Korea. She said she couldn't find things that I wanted. She did find the masks I wanted but they were selling at a slightly higher price. I guess it was the exchange rate that is going sky high. She just said "JUST GET THEM ON HERMO!" Yeh, lol, wasted my time and wasted her time. That's why I love Hermo, just get from Hermo, they have everything. Let's talk my favourite Korean cosmetics, I got them from Hermo. 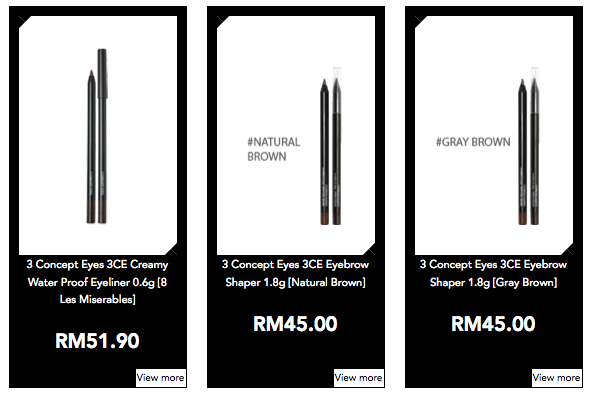 The eyeliner and brow pencil I use are from 3CE which you can also get them on Hermo. Banila co. Hydrating Primer, Too Cool for School Mascara and Lipbalm. They are now my daily essentials. I really love my Too Cool For School mascara. Look at my long and volumic eyelashes, I don't need to use falsies. Anyway, Hermo is turning TWO!!! Congratulations, thank you for "growing" well and improving. Bring more Korean and international brands of products in! I'll always support you, Hermo, happy birthday!! !